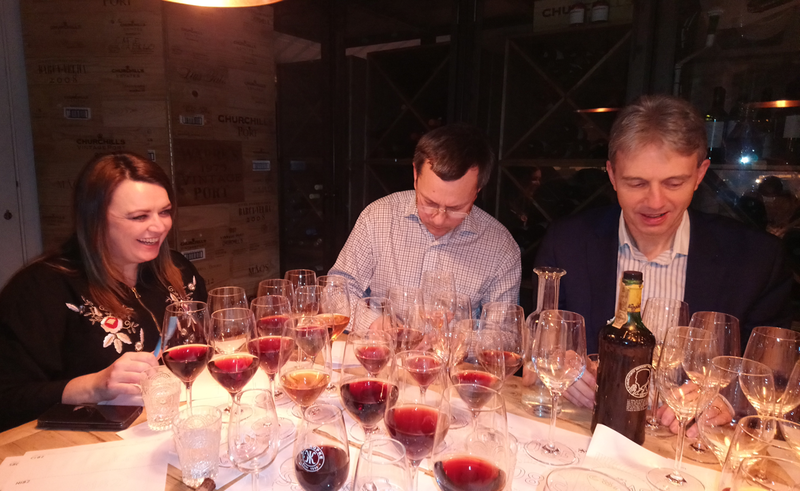 With special guest Irayna of the B&F, obvious suspects met at Bar Douro to taste Port mostly from 1982. I lost my tasting notes. But the SW LBV was fabulous. We also had a decanter of 1997 Churchill and a bottle of Fonseca Guimaraens 1998! And a wonderful bottle of Elderport! Nobody has said much yet about last week's tasting; is this because it was a disaster or so fabulous it can't be put into words? 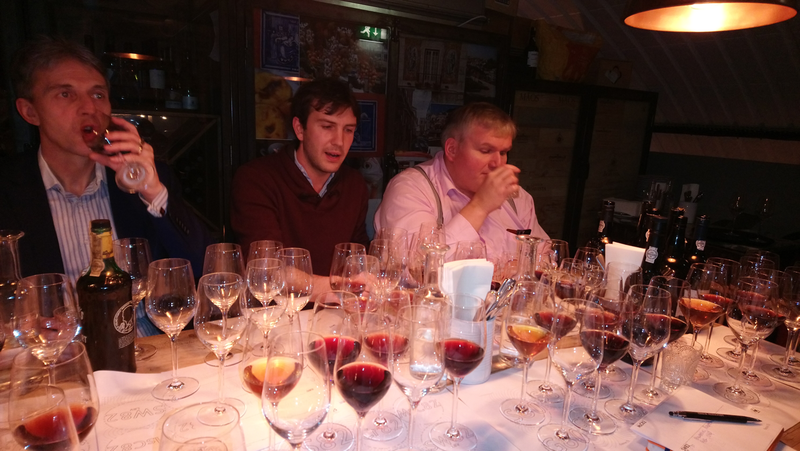 How well did Bar Douro work as a venue for tasting? i.e. how was it for space (any photos? ), was the area crowded/noisy, hot/cold, what limits for numbers or rooms/tables available, glasses available, how was the food, service, etc? I thought it was a wonderful tasting, so I wish to doff hat to Alex for making the arrangements. In truth the private table we had upstairs was a bit small for the 9 of us but we did manage as all thirsty port drinkers do when required. The service was wonderful, Max was a great host and it was lovely he was able to join us for the evening. The food was also very good, with the suckling pig being most enjoyable, as was the rest of the food. As far as the main event... the 1982s, they were pleasant, but nothing to write home about. Churchill’s 1982 was VP of the night for me, but the 1997 Churchill’s VP and FG98 VP were close behind. Surprise of the night was how lovely the Smith Woodhouse 1982 LBV was. It was wine of the night for me and as always when I have a lovely mature LBV, I hope I will taste more in the future, and I must try to put more away in the cellar for future drinking. It was also lovely to have Irayna there to thank her for all the hard work the Boot & Flogger put into hosting us so often. Bar Douro is a wonderful Restaurant/Bar and I can’t recommend it or the staff enough...but for regular Port Tastings it is the B&F for me. I really enjoyed this tasting, thus a big thank you to Alex for organising, and also to Max who it was great to meet. It was my first visit to bar Douro and I was most impressed with the food which was excellent, upstairs was snug but manageable for 9 for an informal tasting. 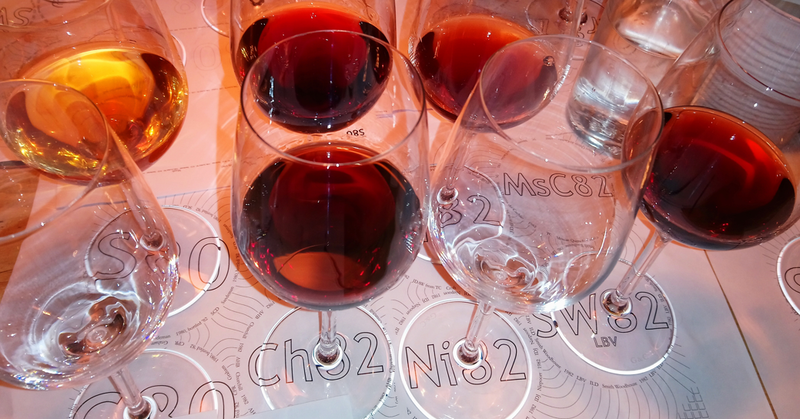 The ports were a mixed bag, but generally the 82's are mature with the Churchill the best of the bunch, the SW LBV was also good. I would be keen to return again to enjoy the excellent food. I took only three pictures.